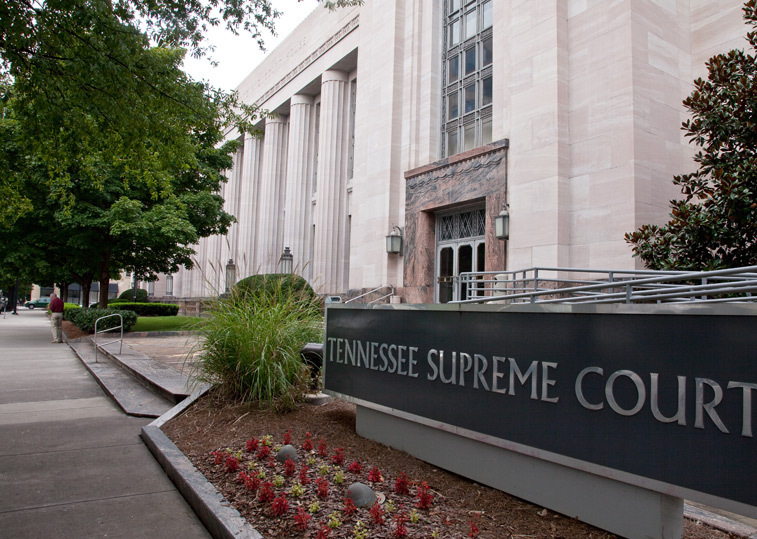 The Tennessee Supreme Court heard oral argument on October 3, 2018 of an appeal brought by 32 death-row prisoners challenging the constitutionality of the state's execution protocol. In a move criticized by one of the court's justices as a “rocket docket,” the court removed the case from a lower court and set argument for one week before Tennessee's scheduled October 11 execution of Edmund Zagorski. Previously, the court denied a stay of execution to Billy Ray Irick, allowing him to be executed before the lethal-injection issues were resolved. Arguing for the prisoners, assistant federal defenders Kelley Henry and Dana Hansen Chavis told the court that “unassailable science” shows that midazolam, the first drug used in Tennessee executions, is insufficient to block the intense pain caused by the second and third drugs. The prisoners asked the court to consider medical evidence from Irick’s execution that Irick had been conscious while experiencing the torturous effects of the vecuronium bromide injected to induce paralysis and the potassium chloride used to stop his heart. Witnesses to Irick’s execution reported that he choked, moved his head, and strained his forearms against restraints while being put to death. The prisoners offered a sworn statement from Dr. David Lubarsky, one of the nation’s leading anesthesiologists, who offered an opinion “to a reasonable degree of medical certainty” that Irick “was aware and sensate during his execution and would have experienced the feeling of choking, drowning in his own fluids, suffocating, being buried alive, and the burning sensation caused by the injection of the potassium chloride.” “If the Eighth Amendment means anything,” Henry argued, “then the court will rule in favor of the plaintiffs.” Much of the argument focused on the requirement imposed by the U.S. Supreme Court that before a state’s chosen execution method can be declared unconstitutionally cruel and unusual, prisoners must prove that some other constitutionally-acceptable method is available to execute them. The Tennessee prisoners proposed that the state could switch to a one-drug protocol using pentobarbital, which both Georgia and Texas have recently used in carrying out executions. Alternatively, they suggested that Tennessee drop the paralytic drug from the execution process, citing testimony that its inclusion causes additional, unnecessary pain. Tennessee’s lawyers argued that the state had made a “diligent effort” to obtain pentobarbital but none of the approximately 100 suppliers the Tennessee Department of Correction contacted would provide the drug for use in executions. Associate Solicitor General Jennifer Smith provided no explanation for why suppliers refused the sale but said that “[t]he state bears no burden at all” to prove that the drug was unavailable. In an admission that countered one of the frequent claims of execution proponents, Smith said there was no evidence death penalty opponents had interfered with the state’s efforts to obtain the drug. In response to questions from Justice Holly Kirby about the prisoners’ burden of proving that the state could obtain pentobarbital, Henry explained that the state’s refusal to provide any information on its efforts created “procedural roadblocks” to proving that point. Justice Sharon Lee appeared to support the prisoners’ position on transparency, asking Smith how the state could fairly demand that the prisoners “prove what they can’t possibly prove because they can’t get the records.” A motion to stay Zagorski execution is pending before the court, and it is unclear whether the court will rule on the merits of the appeal before his execution date. An application for clemency has also been filed and is under review by Governor Bill Haslam. (Daniel Jackson, Death-Row Inmates Challenge Tennessee’s Execution Protocol, Courthouse News Service, October 4, 2018; Tennessee Supreme Court Hears Lethal Injection Arguments, Associated Press, October 3, 2018; Adam Tamburin, Tennessee Supreme Court considers lethal injection challenge 8 days before execution, Nashville Tennessean, October 3, 2018.) See Lethal Injection.